The Honey-moon is over. 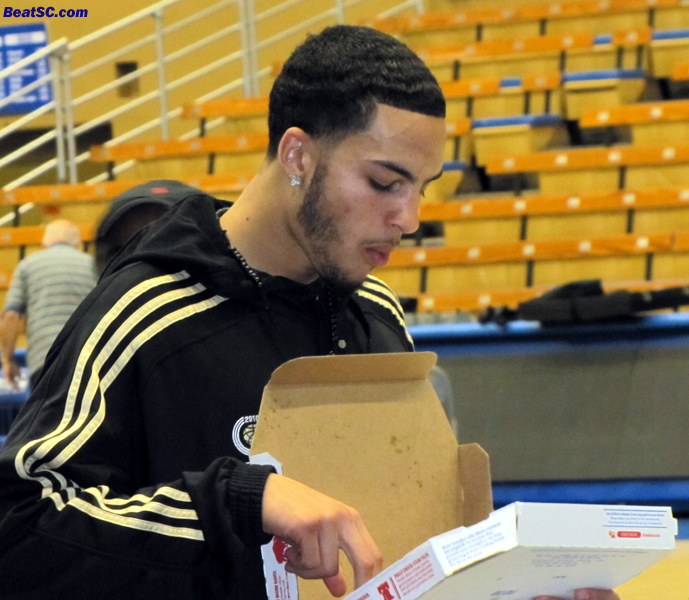 Bruin SOPHOMORE Tyler Honeycutt is about to hire an Agent, meaning that he will never play another game for UCLA. Unlike his former teammate Malcolm Lee, who is just “testing the waters” of the NBA Draft, Honeycutt is going the Agent route, so while Lee can come back, Honeycutt can not. Honeycutt says that he needs an Agent to help him prepare for the Draft, and to help him maximize his chances of getting picked early in the draft. I understand that an Agent can guide him and point him in the right direction, even enabling connections that could benefit him, but isn’t talent and dedication more important? If Honeycutt were worthy and showed lots of heart, wouldn’t that get it done? Why couldn’t he go without representation, while he makes sure that there is a place for him in the Pro’s? That way, he could still come back to UCLA, if the NBA doesn’t like him, or if he gets injured, or if there is a lockout. At least Lee understands. Honeycutt said that the only reason he might have stayed in school is for the chance to be on a team that would have been ranked in the Top 5 in the Country. If everyone returned, the Bruins would have been among the preseason favorites to reach the Final Four, and Tyler knows it. But apparently, the allure of a National Championship wasn’t enough to overcome the $$$ of an NBA contract. Unlike many fans, I AM sad to see him go, but a Bit-O-Honey was better than none at all. Now UCLA will be expected to be a good team, but not a great team. Without Honeycutt, they will have no proven outside shooter, and that deficiency is enough to keep the Bruins out of the Preseason Top 5. If Lee goes too, they won’t have a proven Defensive Stopper either, which would probably drop them from the Top 20. If Reeves Nelson and Joshua Smith shock everyone and leave too, the Bruins are looking at a losing season. Luckily, Smith (reportedly) has no intention of going anywhere, and according to Nelson’s Mom, Reeves will be returning as well. So right now, Lee is the wild card. Lee is still rehabbing from ankle surgery, and won’t have much time to impress the NBA scouts after he fully recuperates. He has until May 8th to withdraw his name from the Draft, which is what Ben Howland will suggest if Lee does not appear to be a definite First Round selection. Apparently, the Bruin staff fully expects Lee to be back in a Bruin uniform next season. Hopefully, a motivated Lee will work hard during the offseason, especially on his outside shooting, because if he can increase his 3-point shooting percentage, he could be an All-American (because of his amazing Defensive prowess). And his Draft position coming off an All-American season would ensure him a much, much better financial future than anything he could expect this year. In addition to definitely LOSING one player, UCLA also picked up a new one: Larry Drew II, a Point Guard who quit on North Carolina in the middle of last year. Drew will be joining former Tarheel teammates the Wear Twins, as he too is now transferring to Westwood. Drew will practice with the team this coming year while he mandatorily sits out the season, then play the following year, as a Senior. Drew had a rough time in North Carolina, never living up to expectations, but he still put up pretty lofty Assist numbers. Since Ben Howland has yet to secure a higly-ranked Point Guard for that season via recruiting, Drew just might be a big part of a successful team… if his attitude is right. Speaking of “successful” teams, the UCLA Football team starts Spring Practice today. All their practices are open to the public, and go from 4pm to 6pm at Spaulding Field, where lately, ankles and knees come to die. Hopefully, the Bruins can avoid serious injuries, for once. The most exciting draw of the session will be getting to see if new QB Brett Hundley is “all that.” Many people thought that Obama was going to be a Savior to the Country. Many people think that Hundley can be a Savior to UCLA. Hopefully, after Brett’s first year, his approval rating will be better than Barack’s was, after HIS first year. "HONEY CUTTS AND RUNS" was published on March 29th, 2011 and is listed in Blue & Gold News, UCLA/usc/Sports Photos.